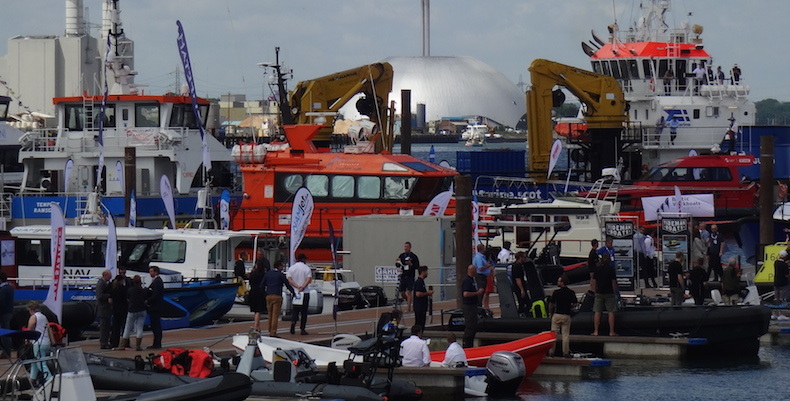 Seawork International is the largest international commercial marine and workboat exhibition and conference held in a European port. The conference and exhibition ran over three days from 13 – 16 June, and this year celebrated its 20th year. The event attracted more than 7,600 high calibre visitors from over 70 countries across the globe, comprising buyers, sellers, innovators and legislators. The huge level of investment and new business potential in Marine was in great evidence, with a wealth of new products and innovation on display. An Innovations Showcase comprised 50 products and vessels, which have come to market during the past 12 months. In-water demonstrations took place across the exhibition halls and at the Dive Tank. There was an extensive array of new products, services and vessels to discover. The Seawork Conference sponsored by Knighthood, provided debates and presentations on topics of most concern and interest to the marine industry, including optimising operating costs, obtaining funding and support for businesses, the marine skills gap, and marine renewables. The programme explored the challenges, changes and emerging opportunities in today’s and tomorrow’s commercial marine and workboat sectors. For more information about GetSet Marine, please visit our website. This month we are running a number of workshops including how to gain access to marine grants, and marketing for marine businesses. We also provide 1:1 coaching, as well as working for your business on a consultancy basis. Get Set for Growth with GetSet Marine.